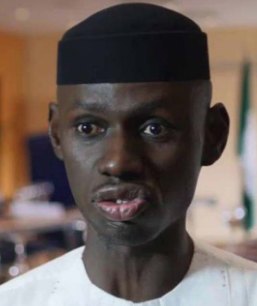 Timi Frank Frank made the assertion on Friday in Abuja, in a statement in response to comments credited to the Information and Culture Minister, Alhaji Lai Mohammed, that the US should not grant the former Vice President visa to visit the country. He, however, reminded the Minister, that the American government does not believe in the administration of President Muhammadu Buhari which has since been described as “lifeless” by President Donald Trump. According to Frank, the PDP presidential candidate has become a nightmare and a sleepless tablet for the government of APC, hence the total loss of common senses by some of it officials. Frank warned his former boss, Lai Mohammed and other APC’s apologists against heart attack when they later see Atiku Abubakar, being received on a red carpet very soon in the United States of America. While challenging APC government to provide just one evidence of corruption perpetrated by Atiku Abubakar, Frank said the same failed government that said the Waziri Adamawa could not visit America is already jittery now that Atiku is poised to prove them wrong. According to Frank, it was easier for Lai Mohammed to bring APC to power with lies and propaganda against President Goodluck Jonathan but it is now impossible to sustain the lies because of their obvious failures. “Why is Lai Mohammed speaking from both sides of the mouth? The Minister is about to lose his job that’s why he is talking like someone under the influence of codein or tramadol. The simple advice for Mr. Mohammed’s close allies is to get him tested for probably the negative effects of banned substances. “At this stage, it is too late to stop America from granting Atiku entry Visa because the country has confirmed that it has nothing against the Presidential candidate of the PDP. “Instead of this clueless government to seek for help from the American government in fighting the resurgent Boko Haram and fully liberate the people of the North-east from the hands of insurgents, what is more important to Lai Mohammad and the APC’s government is the issuance of U.S. Visa to Atiku. “The American government will not fall for propaganda from a lifeless government like that of APC and President Muhammadu Buhari in granting Visa to anybody because it is a place where rule of law is strictly adhered to. “Unlike a lawless APC government that attempts to disallow rain from dropping on the roof tops of political opponents, the America government is built on trust, fairness, justice and the fear of God,” Frank replied Mohammed.